In RLM, an ISV server is a license server for a specific product. For Arnold, the ISV server is solidangle. Copyright (C) 2006-2014, Reprise Software, Inc. All rights reserved. Here’s a couple of licenses that result in No ISV servers to start. This license is missing a line break. The ISV line has to be on a separate line; otherwise RLM won’t recognize the ISV statement and won’t find the ISV server name. This license is a node-locked license, so there is no ISV line, and you don’t need a license server to use the license. How do I know it is a node-locked license? 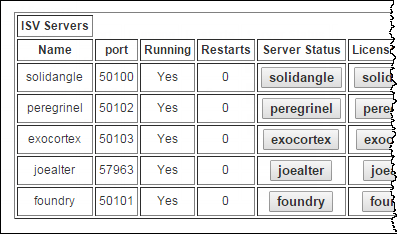 First, there’s no HOST or ISV lines, and second, it’s uncounted. Only node-locked licenses have the uncounted keyword. 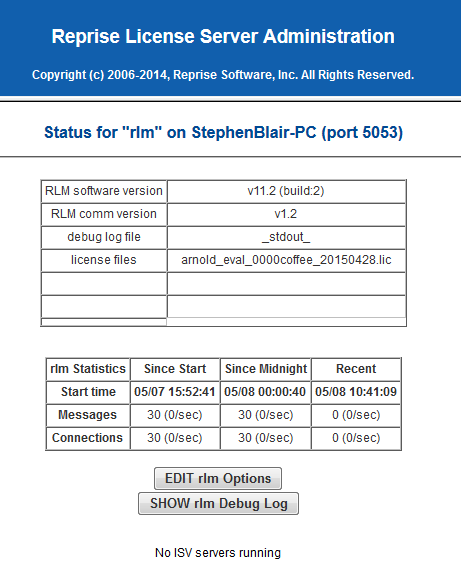 This entry was posted in Licensing and tagged Licensing, RLM, SolidAngle by xsisupport. Bookmark the permalink.